“When these kinds of things happen in my life, things that are so clearly filled with more beauty or redemption or reconciliation than my cranky personality and stony heart could ever manufacture on their own, I just have no other explanation than this: God,” writes pastor-author Nadia Bolz-Weber in her popular book Pastrix. For Tabernacle Baptist Church in Richmond, Va., and pastor Sterling Severns, God is the only explanation after communities of Chin, Karen, Kachin and Lisu refugees from Burma doubled the size of their congregation and completely transformed the way they do church. Through a mission to help resettle refugees from Burma and discover a new church alongside each other, the people of Tabernacle Baptist are partnering together to renew God’s world. The beauty and redemption, said Severns, comes in how a multi-ethnic, multi-colored, multi-language and multi-opinionated mass can become a community that learns from one another and allows itself to be changed through partnership. This kind of steady patience and hope has characterized Tabernacle for its 128-year history. Originally planted as a mission school to engage children, Tabernacle became the largest Sunday school on the eastern seaboard by the turn of the twentieth century. Over the next few decades, the city grew up around the church until Tabernacle found itself right in the heart of Richmond’s most cohesive urban neighborhoods, the Fan District, so named for the “fan” shape of the district’s streets as they extend west. By the 1960s and 1970s, most churches had retreated to the suburbs, and, in rapid decline, Tabernacle received an offer to move west beyond the Richmond city limit. Knowing the choice might very well mean its death, the congregation declined the tantalizing offer and remained in the city where they felt God was calling them to be. Over the ensuing years, Tabernacle continued to experience decline, even walking with their own pastor through terminal cancer. 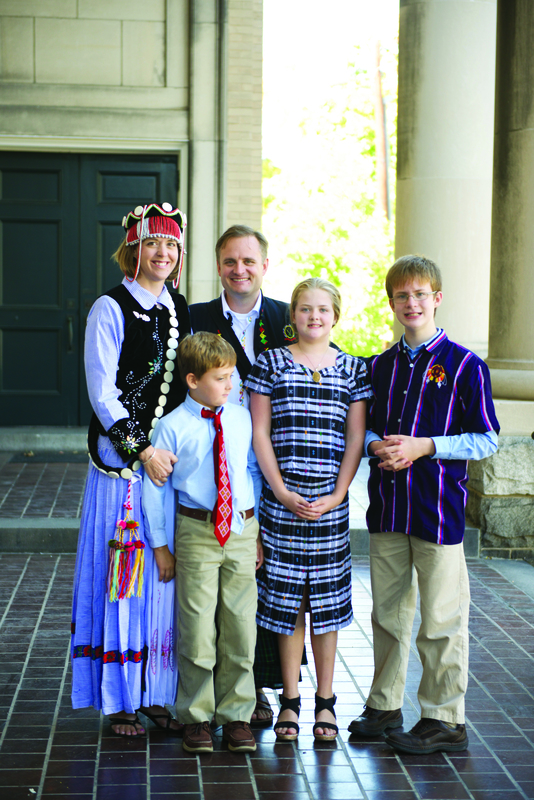 Then, in 2004, Severns accepted the call to serve as pastor of the struggling downtown church. “I have no idea what to do and no idea what’s next, but it’s clear God is preparing us for something,” Severns told the congregation in his first sermon. That something began with a phone call from Cooperative Baptist Fellowship field personnel Duane and Marcia Binkley, who informed Severns that three families of Karen refugees from Burma (now Myanmar) had been residing in Richmond for six months without a place to worship. The very next month, the families filled an entire pew in the church’s sanctuary on World Communion Sunday for their first worship service. After more than seven years of the church welcoming the Burmese newcomers, families of Chin, Karen, Kachin and Lisu refugees now comprise a quarter of Tabernacle’s congregation, and the entire community is exploring what it means to partner in renewing the vision of church and the life of the city of Richmond. 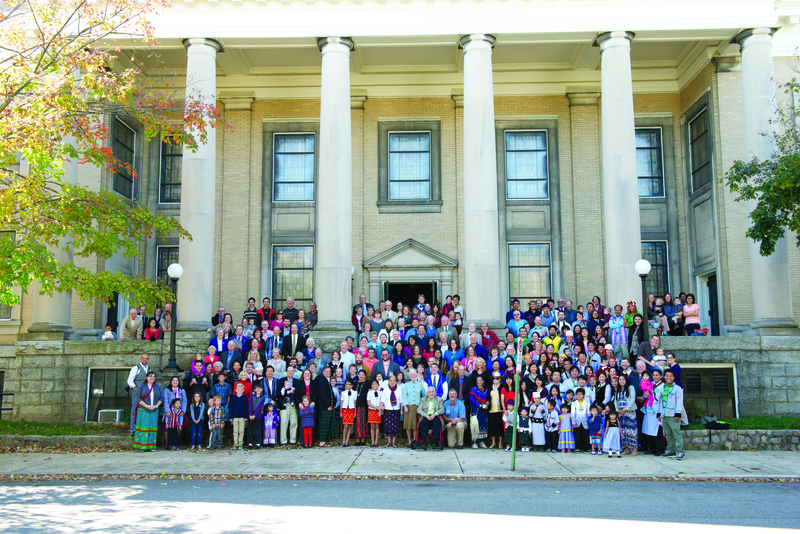 Megan Strollo, a 28-year-old graduate student and member of Tabernacle, emphasized that a renewed vision of partnership and community begins with worship. Each Sunday during the 11 a.m. service, each adult and child leading worship is instructed to pray, read scripture or offer testimony in their native language, without translation. While both communities initially struggled with the language barrier, she added, they found that God’s healing and transformation did not depend on language. Through partnering with many young families from Burma, Tabernacle has also learned what new life means in a more literal sense, namely through the children who now laugh, scream and boisterously fill the hallways once again. In fact, Severns said, children are the most crucial partners in renewing God’s world, which is why children of all ethnicities populate pulpits, conversations and other realms of leadership within the congregation. Children are also invited into the center of the congregation’s journey through scripture each week with Godly Play, an immersive Bible-story-telling program. As the entire church journeys through the narrative lectionary at Tabernacle, children are empowered as partners to find themselves in the story of God’s renewal in the world. Art Wright, affiliate professor of New Testament at Baptist Theological Seminary at Richmond, said he and his wife began making relationships early in Tabernacle’s partnership with Burmese refugees. Through welcoming new arrivals at the airport, hauling furniture into newly-rented apartments and providing rides to medical appointments, the couple and other members sought to embody the kind of hospitality God offers us, Wright said. In one instance, Wright and a translator accompanied a Karen friend to the DMV to help her communicate and get a driver’s license. Yet, for all their expressions of welcome, their friends from Burma seemed to be the experts on hospitality. Though the church has welcomed in new life and become completely transformed, one thing the church has not become, Severns added, is clingy or territorial. Through the partnership of Burmese refugees and social workers among the congregation, Tabernacle birthed an independent resettlement ministry in 2010 called ReEstablish Richmond. In addition, the church continues to engage the seminary community and grow young pastors through a residency and internship program. Later this year, Tabernacle plans to commission individuals to Burma to begin new partnerships in which both communities can engage and seek transformation. Blake Tommey serves with the Baptist General Association of Virginia as a collegiate minister at the University of Virginia in Charlottesville, Va.
Oh good ol’ Tab! How I miss this congregation. Thank you for being a congregation that sends out your membership but then welcomes us back!